A week from now, the Catholic Church will gain 21 or 22* new cardinals, and they in turn will each get a cardinal title or a cardinal deaconry. In an earlier blog I explained that cardinals who are ordinaries of a diocese will usually be made cardinal priests with a title church, while cardinals in the curia will be cardinal deacons with a deaconry. But we won’t know which cardinal will receive which title or deaconry until the actual consistory, when they’ll receive them together with the ring and the red biretta. San Giacchino ai Prati di Castello, future title church of Cardinal Eijk? Ten of the new cardinals will be cardinal priests. They are the heads of major (arch)dioceses and, in one case, the archpriest of the Basilica of St. Mary Major. 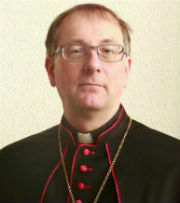 Cardinals-designate Santos Abril y Castelló, George Alencherry, Thomas Collins, Dominik Duka, Wim Eijk, Giuseppe Betori, Timothy Dolan, Rainer Woelki, John Tong Hon and Lucian Muresan will receive one of the following 13 title churches, listed in the order in which they became vacant. Sant’ Atanasio. Entrusted since 1872 to the Congregation for the Oriental Churches, a fact that may well be reflected in the choice of cardinal-protector. Cardinals-designates Alencherry and Muresan seem likely, as they are both archbishop in a non-Roman rite Church. Saint’ Atanasio has been vacant since 1984. 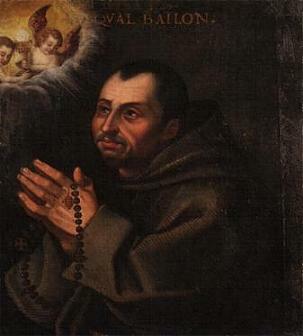 San Callisto. Vacant since 2003, but with a long history as a titular church. Past cardinal-protectors came mainly from Italy, but also included cardinals from other European countries. Nostra Signora di Guadalupe a Monte Mario has been vacant since 2008. Named for Our Lady of Guadalupe, patron of the Americas, a future cardinal-protector may come from either North or South America. Likely, then, are Archbishops Collins or Dolan. San Felice da Cantalice e Centocello was only held as a title once before, by South Korean Cardinal Kim Sou-Hwan, who died in early 2009. San Patrizio. A national church of Ireland, a future cardinal-protector will very likely come from that island. It will remain vacant for a while longer, then. 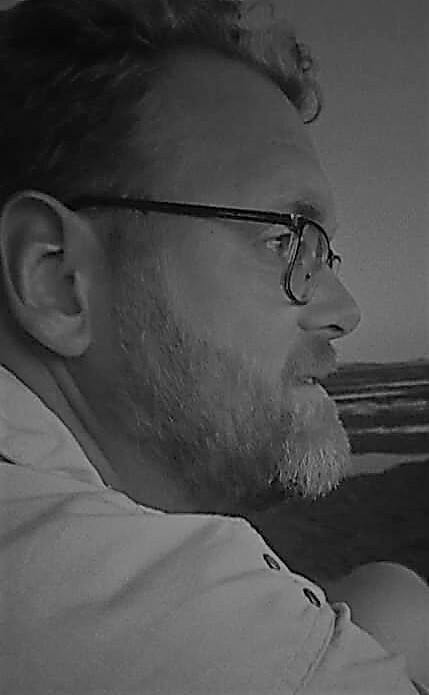 San Giacchino ai Prati di Castello. Previously held by Cardinal Alfrink, one of the mere two previous cardinal-protectors, will this title be given to Archbishop Eijk? San Bernardo alle Terme. Another title church with a long history as such. Its edifice and annexed monastery are maintained by the Cistercians, which is no clue to the identity of a future cardinal-protector, since there are no Cistercians in next week’s consistory. The previous cardinal-protector was Cardinal Vithayatil, so his successor as Major Archbishop of the Syro-Malabarese Church, Mar George Alencherry, could conceivably be given this title as well. But then again, he may just as likely not. San Marcello. A long history of 63 previous cardinal-protectors from all over the world reveals nothing about the identity of its future cardinal-protector. San Giuseppe all’ Aurelio is a fairly recently created title church, held by only one cardinal-protector,. He was Berlin’s Cardinal Sterzinsky, so Archbishop Woelki has a decent shot at this. San Gerardo Maiella was the title church held only by Cardinal Swiatek, so perhaps another Slavic cardinal will succeed him, in the person of Archbishop Duka. “Regina Apostolorum” has been vacant since last July. It’s three past cardinal-protectors have all been Italians, but most of the older title churches have a strong Italian history when it comes to cardinals assigned them. Santi Marcellino e Pietro is yet another ancient title church with cardinal-protectors from various nations. It has been vacant since August. Santissimo Redentore e Sant’ Alfonso in Via Merulana, vacant since the death of Cardinal Bevilacqua a few weeks ago, has a New World history, having been held by two Americans and a Bolivian cardinal. Collins and Dolan again come into view. So we can make some educated guesses, but nothing is certain when it comes to the assignment of title churches. The Holy Father is also free to create new titles churches. Santa Maria in Cosmedin. An ancient basilica that has been vacant since 1967. It has had no less than 64 cardinal deacons that we know of. San Giovanni Battista Decollato was ever only the deaconry of one Italian cardinal and has been vacant since 1988. San Teodoro is an ancient church which is also used, by papal permission, by the Greek Orthodox community of Rome. Maybe its future cardinal deacon, its first since 2000, will have some link with the Orthodox? Santissima Annunciazione della Beata Vergine Maria a Via Ardeatina vacant since 2006, has had a single Italian cardinal deacon. Nostra Signora di Coromoto in San Giovanni di Dio has had a single Venezuelan cardinal deacon and has been vacant since 2007. Sant’ Elena fuori Porta Prenestina, vacant since 200, has had two cardinal deacons, one from Ghana and one from Canada. Santi Vito, Modesto e Crescenzia has been a titular church since 1011, switching several times between a deaconry and a title church. Vacant since 2009, it has been assigned to 35 cardinals. San Ponziano is another deaconry which has had a single cardinal deacon. It has been vacant since November of 2010. Sacro Cuore di Gesù a Castro Pretorio is held by the Salesians and is connected to a boarding school for the arts and industries. One of its two past cardinal deacons was Belgian, so maybe Archbishop Ries will get this title. San Cesareo in Palatio, once the title of the future Pope John Paul II. It has been vacant since September. San Sebastiano al Palatino has been awaiting a new deacon since the death of Cardinal Foley in December. The cardinal deaconries are much harder to predict than the title churches of cardinal priests. But the title churches together form a living memory of the rich history of the Church in Rome. As titular priests and deacons of these churches, the new cardinals are part of this history, which is also a history of the Church’s unity with the pope as the visible sign. * We’ll probably have to wait and see if Fr. 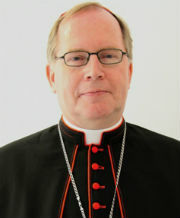 Karl Becker is among the new cardinals on the 18th, as reports about his health are conflicting, as is his attendance at the consistory.